Now that the engineering problems associated with creating, manipulating, storing, transmitting and playback of large volumes of digital video information are well on their way to being solved, attention is turning to content-based and other means to access video from large collections. In this paper we present an overview of the different ways in which video content can be used, directly, to support various ways of navigating within large video libraries. Some of these content-based mechanisms have been developed and implemented on video already and we use our own Físchlár system to illustrate many of these. 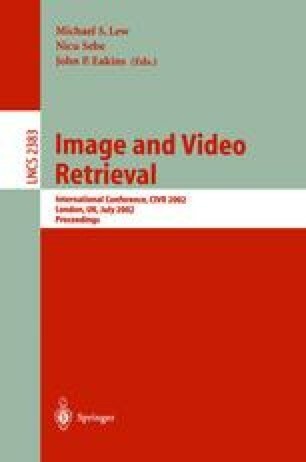 Others remain beyond our current technological capabilities but by sketching out the possibilities and illustrating with examples where possible, as we do in this paper, we help to define what challenges still remain to be addressed in the area of content-based video navigation. IBM CueVideo Project. http://www.almaden.ibm.com/cs/cuevideo/ Last visited 19 April 2002. The VACE Project. http://www.informedia.cs.cmu.edu/arda-vace/ Last visited 19 April 2002. Centre for Digital Video Processing, Dublin City University links to related projects. http://www.cdvp.dcu.ie/links.html Last visited 17 April 2002.